U.S. Sen. Tammy Duckworth (D-Ill.) speaks at an event. Duckworth criticized President Donald Trump for failing to seek Congressional approval for Syrian airstrikes. U.S. Sen. Tammy Duckworth (D-Ill.) questioned the legality of President Donald Trump’s strike against Syria, as the president did not seek Congressional approval. On Friday, the U.S. Military launched an attack on key government targets in Syria with the support of the United Kingdom and France. The airstrike aimed to hinder Syrian chemical weapon capabilities in the wake of accusations last week that the Assad regime had carried out chemical attacks against civilians. In a Saturday news release, Duckworth acknowledged Trump was right to consult his allies, but said Article I of the Constitution gives Congress the responsibility to authorize military action. She emphasized the balance of power embedded in the Constitution and expressed concern that Trump had violated it. 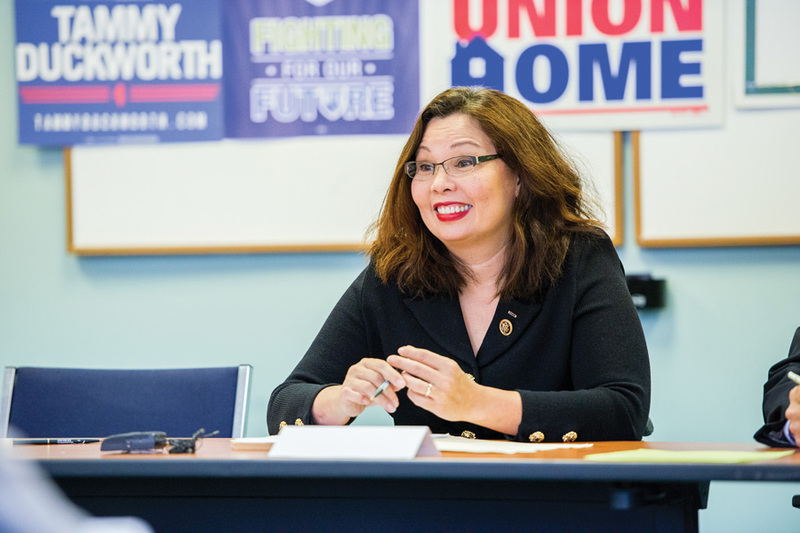 “It’s past time we acted like the coequal branch of government we are and had a debate about any further use of military force as the Constitution requires,” Duckworth said in the release. Duckworth questioned whether the strikes would change the Assad regime’s behavior. She said the president needs a broader political strategy beyond the airstrikes. She also criticized Trump’s conduct on- and offline. On Saturday, Trump tweeted about the strike.